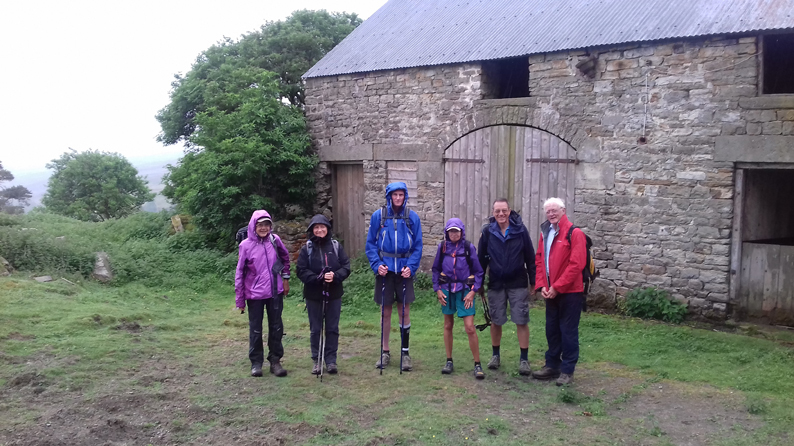 Five Cumbria LDWA members and leader, Martyn, were joined at Allenheads by visitor, Anne, from the Northumbria group, on a warm and bright morning. A hasty reshuffle of cars took place, due to the setting up of a plant sale and market, before the group headed out of the village in an easterly direction. 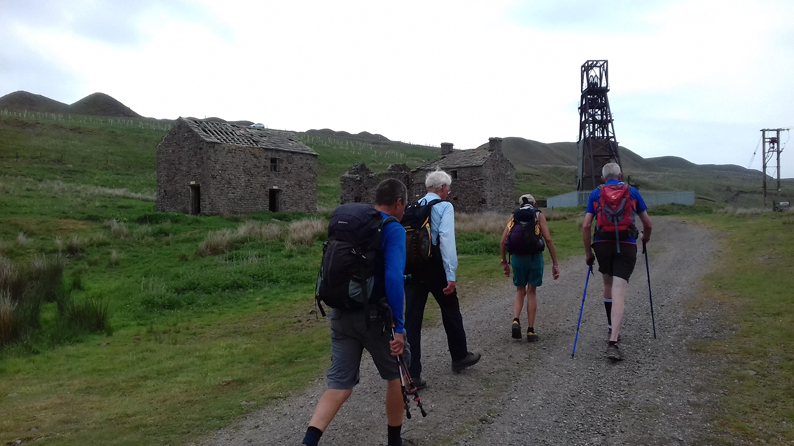 The route continued, initially on the road and then on former industrial tracks, towards the abandoned mine workings at Grove Rake, a fluorspar mine, opened in 1878. 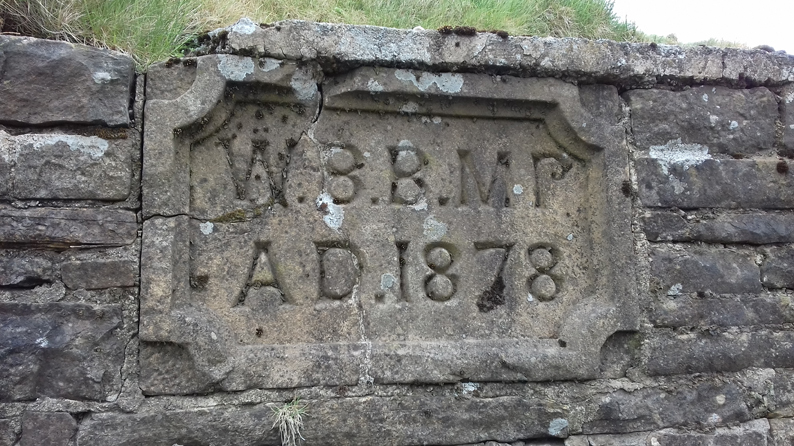 A brief detour was taken to explore the site, which included a mine tunnel entrance with a stone bearing the inscription, ‘WBBMP AD 1878’. 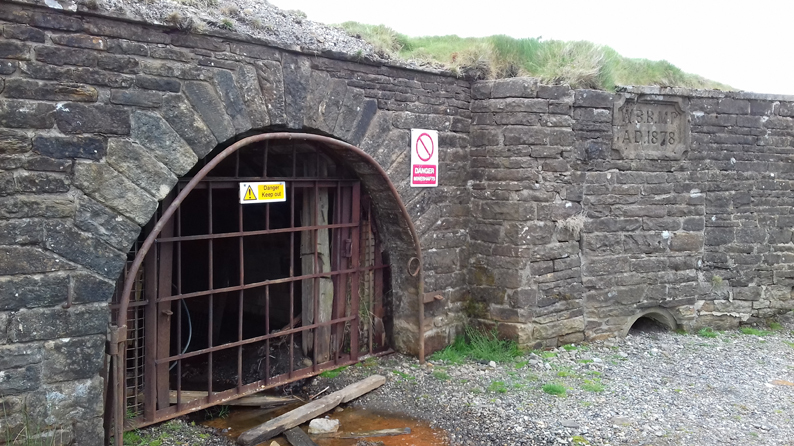 The mine finally closed in 1999 and was the last fluorspar working in England. 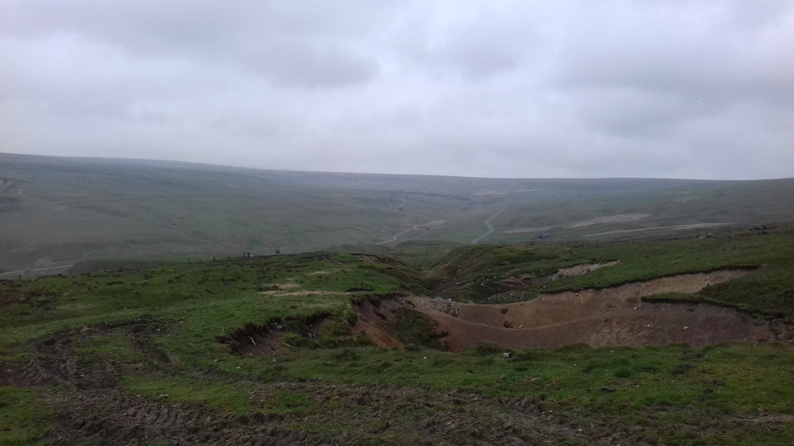 The next stage of the route crossed an expanse of moorland above Rookhope. 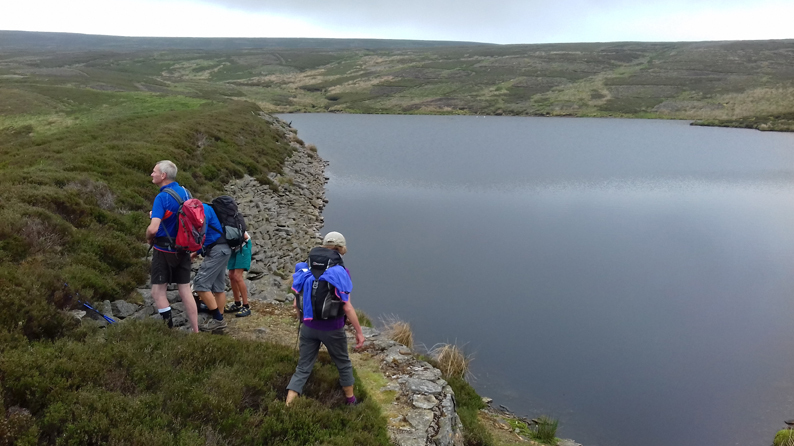 Soon after crossing a minor road, a scenic coffee break was taken at Burnhead Dam, before descending in a north easterly direction towards Ramshaw. Some pleasant woodland walking led down to Baybridge, where the route turned west. 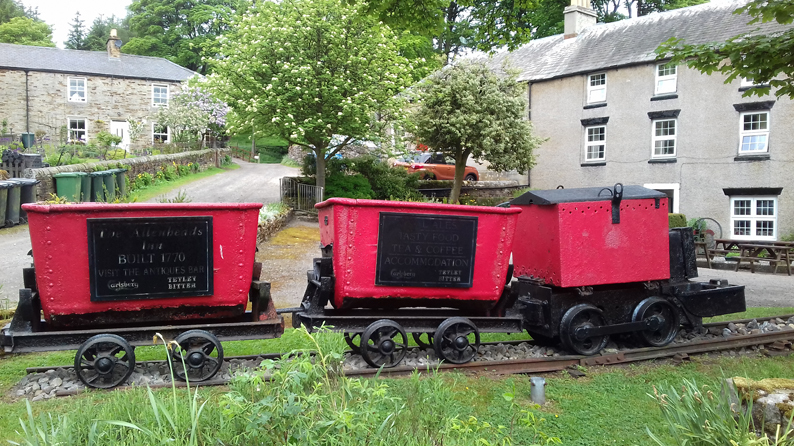 Easy walking along field paths and tracks led to the lunch destination at Riddlehamhope. 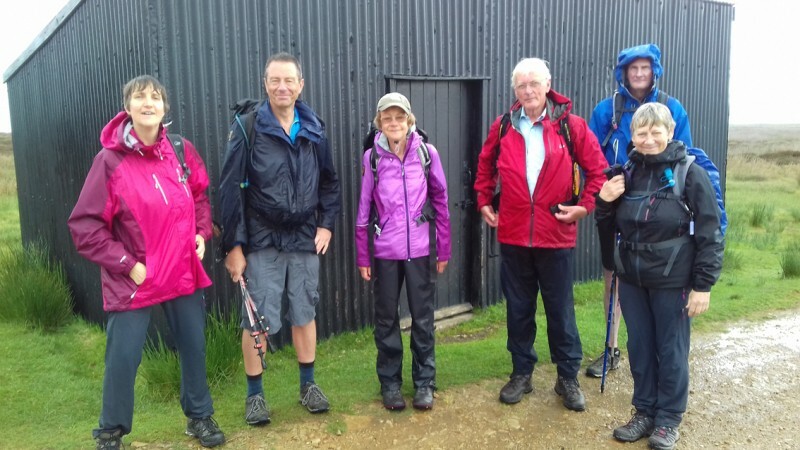 Spots of rain were making their presence felt, which led to us eschewing the woodland for our lunch stop, in favour of a small barn known to Martyn, adjacent to the now tumbledown shooting lodge. From the cosy but dry barn interior, the sound of rain could be heard and waterproof jackets were retrieved from the depths of rucksacks. 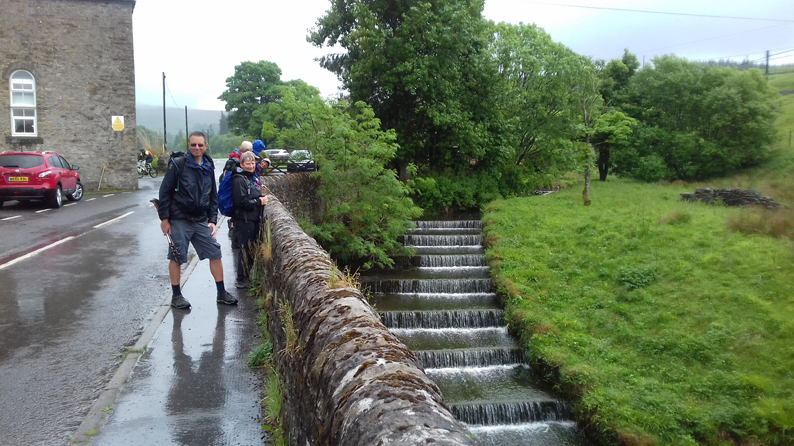 Unfortunately, the rain continued for the much of the remainder of the walk, which followed a moorland bridleway. A commodious shooting hut offered welcome relief for an afternoon break, before continuing across the moor. 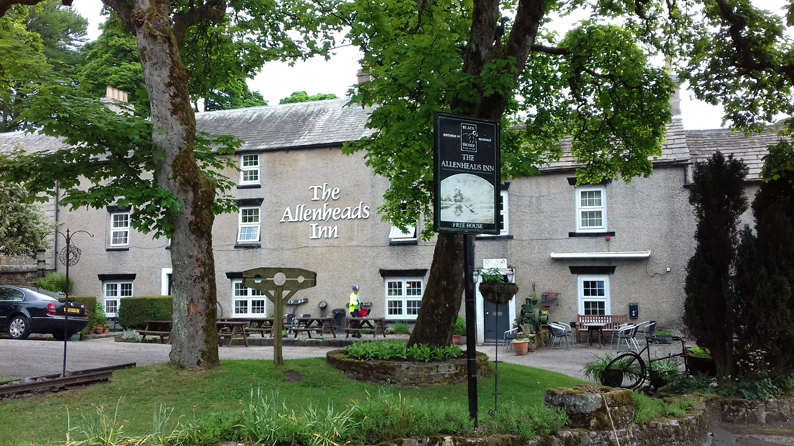 The bridleway eventually led down to the East Allen valley, where a riverside path returned us to Allenheads. 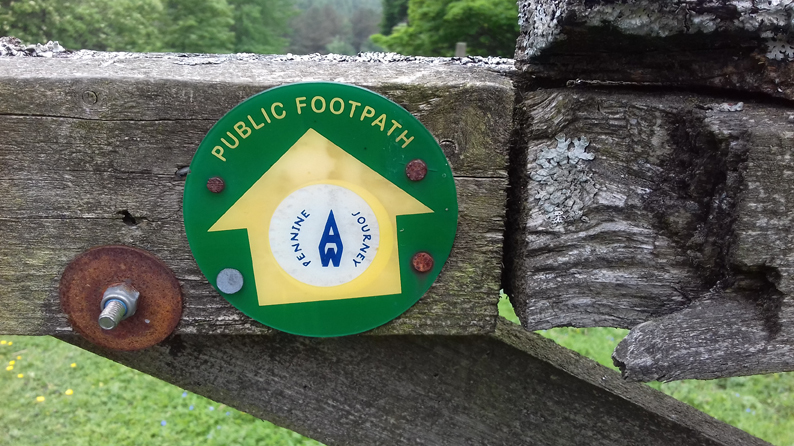 The remaining mile of road walking was broken up by taking an interesting ‘higher level’ footpath above the village. 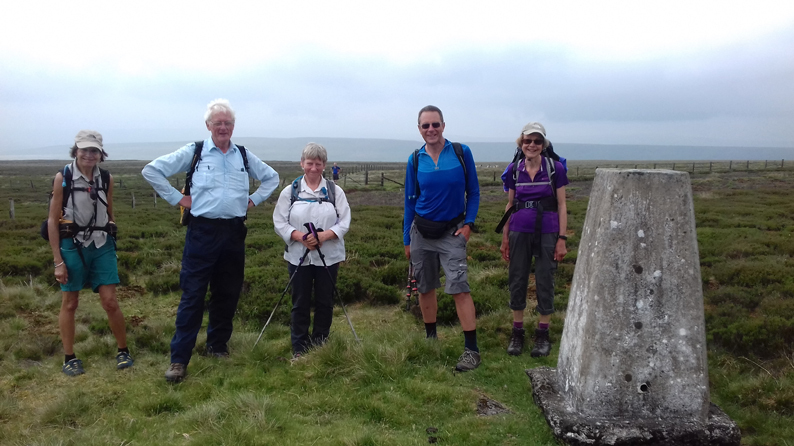 Thanks to Martyn for another excellent Northumbrian foray.